Use the NRS Universal Foam Kayak Blocks to protect your kayak and the top of your vehicle during transport. The two 14" wide, durable minicell foam blocks have molded channels that fit over your roof rack bars. The V-shape cradles the hull of your kayak, protecting the boat and helping prevent side slip. 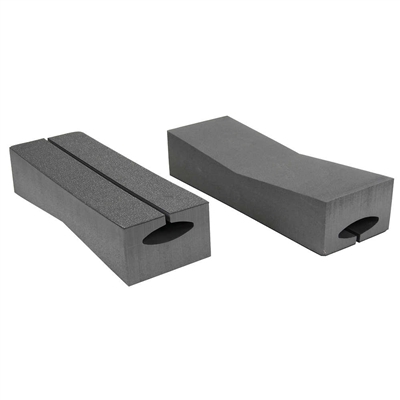 Traction pads prevent the blocks from sliding on the top of your vehicle. If you don't have a roof rack, the Blocks can be placed directly on your vehicle's roof.